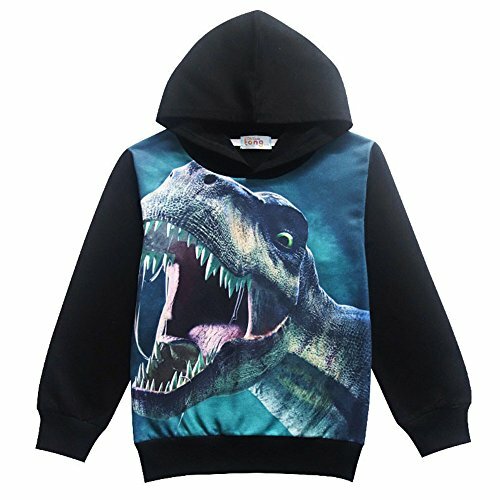 Boys favorite cartoon dinosaur cosplay sweatshirt. Cool and fashion,soft hand feeling,good air permeability.Good choice for Birthday gifts,Thanksgiving,Christmas or Halloween gift For Child. Occasion: sweatshirt for daily wear,casual wear,sleep wear,holiday,home,outdoor,school clothes,campwears,hiking wears,sportwears. Please refer to the Size chart below in the description (not the Amazon Size Chart) before perchasing.